At Rejuvenating Solutions we offer medical skin peel treatments that can improve photo damage, acne and acne scarring, hyperpigmentation and ﬁne lines without causing high surface trauma such as skin irritation, reddening and severe skin shedding. We use Enerpeel® – a group of organic acids speciﬁcally designed for treating a range of skin issues. Their advanced mode of action is able to achieve skin remodelling and regeneration to give long lasting results. At Rejuvenating Solutions we adopt a whole skin approach, so alongside Enerpeel® we use a medical skin care range called Tebiskin pre, inter and post peeling. Tebiskin is used to prevent or alleviate different skin problems that occur or may occur as a result of exfoliation. Tebiskin has been shown to be particularly suited for use in combination with Enerpeel for chemoexfoliation. Rejuvenating Solution also offers Obagi Blue Peel Radiance. A quick and easy chemical peel with little to no downtime, which achieves glowing results. What is a medical skin peel? Also referred to as a chemical peel or chemo exfoliation? Chemical exfoliation or peeling is a medical procedure mainly based on the use of organic acids, which are able to create changes of the skin. 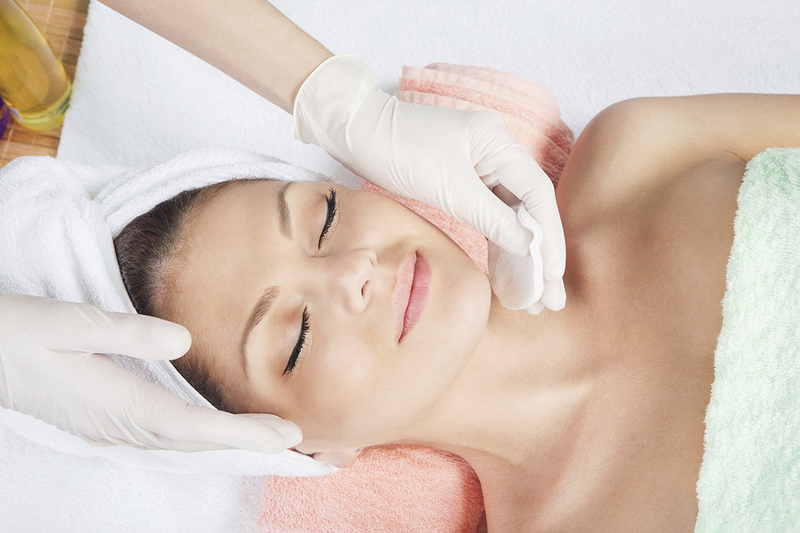 It is a procedure for the face and body that uses a chemical solution to exfoliate the upper layers of the skin. The procedure can be performed at a very superficial, medium or deep skin depth, dependent upon the condition being treated and skin type. How can a chemical medical skin peel help my skin? Skin peeling exfoliates the dead skin layer enabling regeneration of new skin cells, leaving the skin smoother and less wrinkled than the old skin. It can therefore help to reduce ﬁne lines and smoothen coarse-textured skin as well as help reduce pore size. Chemical peeling can also improve acne and soften acne scarring. Irregular pigmentation can also be improved leaving the skin with a more even tone. Patients also notice that their skin becomes ﬁrmer, this is because chemical peeling causes dermal re-modelling by stimulating collagen production in the dermal layer. Is it painful to have a chemical peel? The superﬁcial peels may produce a light stinging/burning sensation at worst. The medium or deeper peels can be more uncomfortable but is quickly resolved when the peel solution is neutralised by the practitioner. What will my skin look like after a peel? This depends upon the type of skin peel you have had but the response will be similar to sunburn and can involve any of the following: redness, swelling, skin peeling, skin discoloration, blistering, and scabbing. At Rejuvenating Solutions we will explain the potential side effects relating to the type of peel you will be having including any pre and post procedure instructions required to minimise them. It is critical to use effective sun protection that must be a high factor to protect against UVA/UVB following any level of skin peeling to prevent complications. The procedure itself only takes a few minutes but a 45 minute appointment is required for preparation and aftercare. The more superﬁcial peel can be performed during a lunch break but it would be recommended that the deeper peels are performed at the end of the working week. This will depend on what skin concerns are being addressed and the type of peel most appropriate to treat them. Some peels – particularly the deeper ones – are seen as a one off treatment, whereas others require a course of treatment that may need to be repeated within a few months. Courses of peels are recommended for the most effective results.